I recently learned that Australian brand Picture Polish is vegan-friendly, so of course I had to buy some of their polishes to try them out! 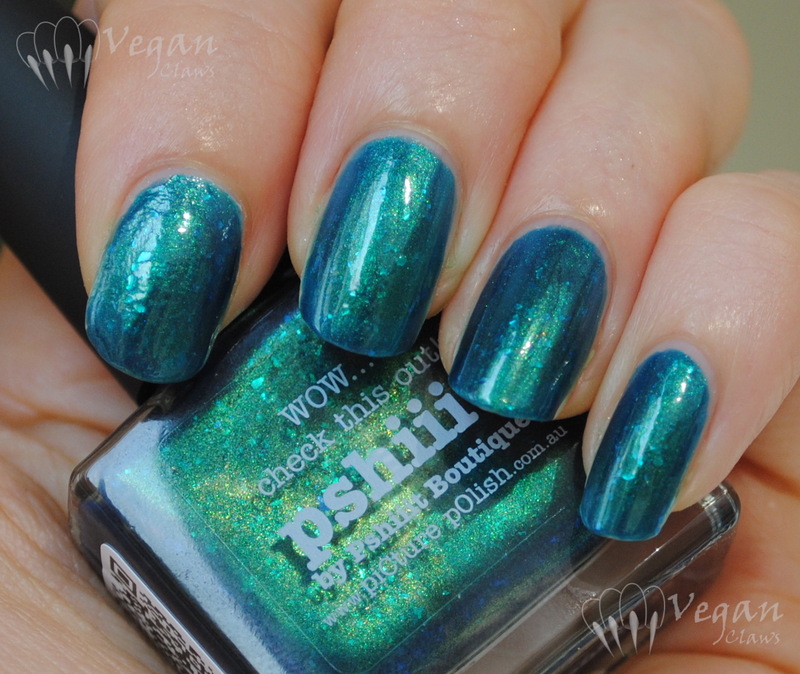 This beauty is a brand-new shade called Pshiiit, as it was a collaboration with French web-store owner and blogger Camille of Pshiiit. Picture Polish recently did several collaboration shades with e-tailers in their distribution network, and I’ll also have swatches of a couple of the others soon. 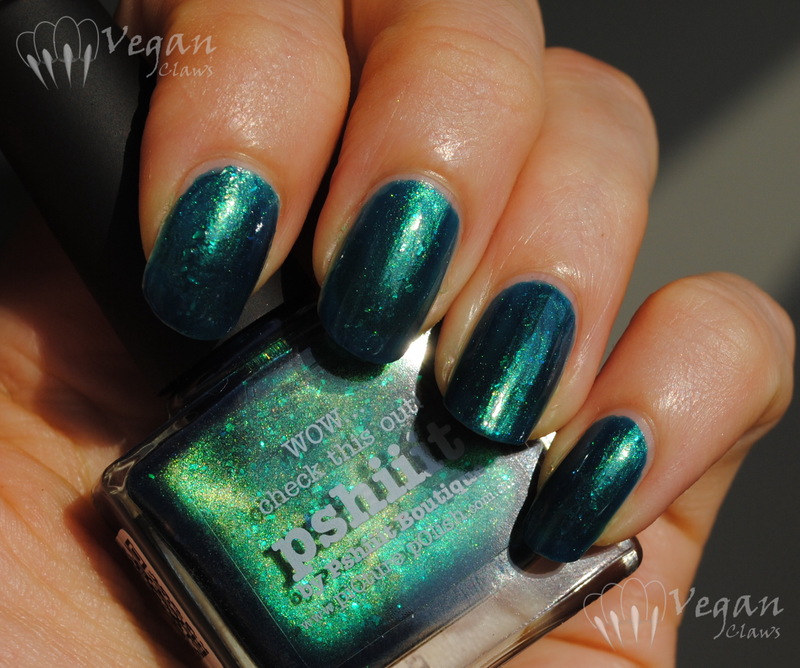 Pshiiit is a teal jelly with flakies and lots of fine gold shimmer as well as some microglitter thrown in. Gorgeous! I recommend clicking on the photos to see all the detail of the finish in the larger versions! I found the formula had a little of the thin-yet-thick thing going on, but didn’t have trouble with it and a second, thick coat evened everything out. This could easily be worn as a layer over a creme polish for those who don’t like visible nail lines. This polish really is incredibly beautiful! And it looks great on you!